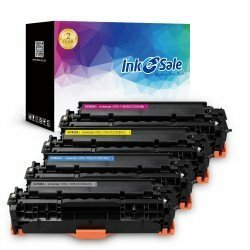 Canon Color ImageClass LBP7660 Toner Cartridges are offered in INK E-SALE, you could choose replacement HP 304A (CC530A) toner cartridges for your canon LBP7660 printer. We guarantee the quality is better than the original, but the price is surprisingly cheap, and we have the quality assurance that you can buy it safely. If you choose INK E-SALE, 100% satisfaction is guaranteed with 2 Year Warranty for refund or replacement.